Eliminate Your Competition By Putting Together Deals No One Else Can! We are excited to announce that Jon & Stephanie Iannotti will be our special guest trainers this month at Tampa REIA on Thursday, July 13th at 6:00 PM at the 3050 North Rocky Point Dr West in Tampa, FL. Jon & Steph will be teaching us about how his CATS can help YOU do more deals by giving you the tools needed to structure profitable transactions that others would normally pass on. CATS?!? !… No, we are not referring to his kitty cats… Jon and his wife Stephanie have created a real estate system they call CATS (Complete Agreeable Terms System). The CATS system is currently helping ordinary, everyday investors become extraordinary investors by giving them the tools they need to do deals that 99% of other investors don’t even realize are deals. Deals that are upside down. Deals where the seller wants full price and all cash. Deals where the seller is behind on payments. All types of deals you might normally throw in the trash. Knowledge is the key and what you don’t know about how to structure creative transactions can definitely hurt your wallet. Imagine knowing how to take a lead most other investors would toss away and turn it into a profitable deal that could make you thousands in a very, very short period of time! During his 90 minute presentation, Jon will teach you how to..
All this and answers to your questions and more! 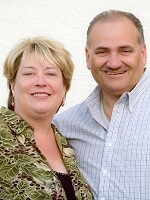 Jon and his wife Stephanie have over 30 years combined Real Estate investing and teaching experience. They have over 3000 creative deals under their belt and are considered some of the best in the industry. Jon and Stephanie created ACT (Agreeable Contract Terms System) for when the seller says “Yes” to terms. They created REACT (Reverse Engineered Agreeable Contract Terms) when the seller says “No” to terms and wants full retail value and all cash. They have now combined these two systems into CATS (the Complete Agreeable Terms System) to have best of both worlds. Now they can make offers that have a high likelihood of being accepted on any of the leads that come across their desk and you can too! 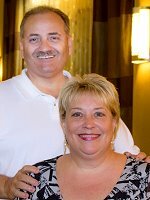 Come spend 90 minutes with Jon & Stephanie at the Tampa REIA Meeting on Thursday, July 13th at 6:00 PM where they will explain how to turn seemingly dead property leads into profitable deals. You certainly will not want to miss out on this career changing information! We look forward to seeing you at the meeting! *Join Tampa REIA or Renew Your Membership & Attend at No Charge! Join us at the ACT / REACT Workshop on Saturday, July 15th at 9:00 AM at Doubletree Suites Tampa Bay located at 3050 North Rocky Point Dr West in Tampa, FL with Jon & Stephanie Iannotti to learn how CATS can teach you to structure profitable transactions with every lead that comes across your desk, especially the ones that most other investors would immediately throw in the trash. During this full day workshop, Jon & Steph will expand on the concepts they were only briefly able to talk about Thursday night at the Tampa REIA Main Meeting. Whether your seller says “Yes” to terms or “No” to terms, you will be able to structure the deal to where you will be able to make money and your seller will be happy too. Jon and Stephanie have over 3000 creative deals under their belt and are considered some of the best in the industry. Through the ever-changing ups and downs, they have modified their techniques to meet the needs of the market and have continued to thrive and prosper. Come spend the day with Jon & Stephanie at the ACT / REACT Workshop on Saturday, July 15th at 9:00 AM – 5:00 PM where they will explain how to turn seemingly dead property leads into profitable deals. You certainly will not want to miss out on this life changing information! Be sure to Download the Iannotti’s REACT Property Data Sheet after checkout and bring as many completed lead sheets to class as you can and Jon will analyze your deals and call sellers in class and help put together a deal for YOU! *PLEASE NOTE: Non-Members who Join Tampa REIA between June 27th through July 13th, 2017 can attend the workshop for FREE as new members and can bring a qualified guest. Also, Tampa REIA Members who renew their membership for an additional year between June 27th through July 13th, 2017 can attend the workshop for FREE as well. When Joining Tampa REIA or renewing your membership, please indicate that you want to attend the workshop at no charge. You can Join Tampa REIA at http://membership.tampareia.com. The Fastest, Easiest & Safest Way To Make Huge Profits In Real Estate! Please be sure to join us at the Beginning Investors Group Online on Wednesday, June 28th at 7:00PM ET with Donna Bauer who will be teaching our members and guests about the fastest, easiest and safest way to make huge profits in real estate using notes. 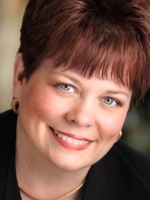 Donna Bauer, nationally known as The Original NoteBuyer®, is one of the nation’s most recognized subject matter experts on Discounted Notes, Seller Financing, and Distressed Mortgages. For over two decades, Donna’s exclusive strategies have produced stunning results regardless of economic conditions. As thousands of successful investors have discovered, Donna’s approach to real estate investing is brilliantly suited to today’s unique market and the shift toward alternative forms of financing. Whether you are a conservative investor or a risk taker, buying notes puts you in control of your real estate transactions and your personal wealth planning. Join us on Wednesday June 28th and get this knowledge from Donna Bauer! We look forward to seeing you at this event! 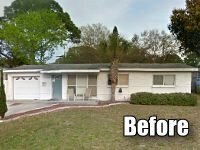 Please join us on Tuesday, June 13th at 1:00PM for the brand new Tampa REIA Onsite Renovation Group (ORG) to learn all about finding, funding, fixing, and flipping houses for big profits. This month’s meeting will be held at a renovation project located at 3239 71st St, N, St. Petersburg, FL. This is a 3 bedroom, 2 bath, block home with 1 car garage and is 1/3 complete on it’s rehab. Join us to come see how Lori Wilson is turning this old house into a beautiful home and profitable deal! RSVP Now! The Onsite Renovation Group usually meets on the 3rd Tuesday of each month at 1:00PM at an active renovation site, build site or rental property which will vary from month to month and be announced prior to the meeting on the Tampa REIA Calendar. This month (June) we will meet the second Tuesday of the month and resume regular schedule in July. Beach REIA meets every 3rd Thursday at 6:30PM at Hooters located at 192 W Boardwalk Pl in Madeira Beach, FL Hosted by Courtney Larsen, Mark Lepzinski and Rex Gaugh. Come join your fellow real estate investors in a fun networking atmosphere at Beach REIA (Formerly the “Real Estate Investors Happy Hour”) held on the 3rd Thursday of each month at 6:30PM. Our goal is to get the Real Estate Investing community together in a fun setting where we can discuss opportunities, ideas, brainstorm, network, and figure out additional ways to help each other make more money investing in real estate. Download the June 2017 Edition of The Profit Newsletter Now! The June 2017 edition of The Profit Newsletter is now available for download as a High Quality PDF (print quality) or Low Res PDF for mobile devices. The Profit Newsletter is the official newsletter of the Tampa Real Estate Investors Alliance and is a digital, interactive newsletter for serious real estate investors delivered as an Adobe PDF file to read on your computer, tablet, or smart phone with a PDF reader. Many of the articles and ads in The Profit contain hyperlinks you can click to get more information online. The high res version of The Profit is “print ready” while the low res version will load faster on your mobile device. Also, be sure to Subscribe to The Profit so you don’t miss a single monthly issue. In Part One of this article, we discussed YOU and why you do the things you do. Specifically, we talked about WHY people do or don’t do things for two primary reasons: To gain pleasure or to avoid pain. This is also known as the Carrot or the Stick – the carrot is something good that we want, while the stick represents the pain we don’t want. Finally, we talked about some stuff that you might not like – why you may not be as successful as you’d like to be, or why you don’t always do some of the things you know you should be doing.